“El NEC®”, as it is commonly referred to in the Spanish-speaking Americas, has been the supporting electrical infrastructure for Mexico, Central America, the Caribbean, and the Andean countries for nearly a century. Antonio Macias is NFPA's representative in Latin America. Please e-mail Antonio with any questions about NEC adoptions in Latin America. Stay informed of key issues, resources, and information about NFPA standards for fire protection and life safety professionals with the NFPA Journal Latinoamericano®. Each issue contains select articles from the award-winning NFPA Journal® as well as articles written with local focus by respected Latin American professionals. Visit the NFPA Journal Latinoamericano web site, or subscribe to our print magazine. 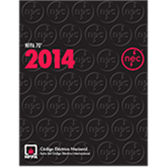 Order your Spanish National Electrical Code® Softbound direct from NFPA®. 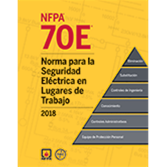 Avoid costly accidents before they happen by putting the Spanish edition of NFPA 70E to work at your facility.